It’s not every day that we indulge in a prime rib dinner, so this extravagance is reserved once a year for our Christmas day dinner only. With that said, you can tell that neither my husband or myself are pros at preparing prime rib. However, my mother has a recipe in our family cookbook that’s right on par for the perfect P.R. It involves several hours of slow cooking on low oven heat, and then standing for an hour or so, all depending upon the size/weight of the rib roast. Secondly, a rich ‘au jus’ is a must to pour over (or dip into) the meat. We enjoy prime rib more on the rare side and others in the family like it cooked a bit more medium-rare. So cut the outer slices for those who want their meat medium-rare, and cut more towards the center for those more rare slices. This should make everyone happy, happy! As traditionalists, we always ladle large bowls of homemade tortellini in brodo first before anything else is ever served. 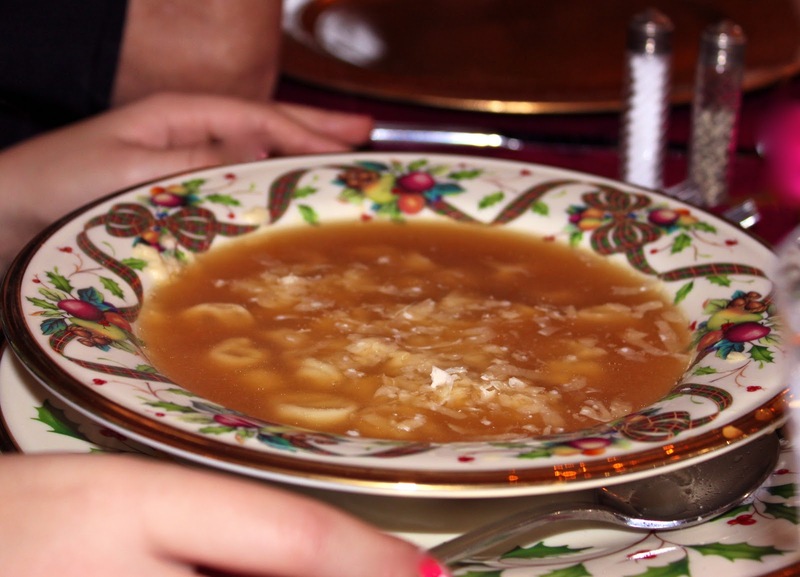 Holidays would never be complete without this pasta soup! For a side dish beside the prime rib, we kept it simple with baked potatoes (with butter and/or sour cream) alongside a fabulous spinach salad and fresh bread. Dinner was just perfect, not too much and not too skimpy . . . just right with room left over in our tummies for some sweet desserts! A bowl of Tortellini in Brodo with freshly grated Parmiggiano cheese sprinkled on the top. Lighting the candles on the table (before dinner). 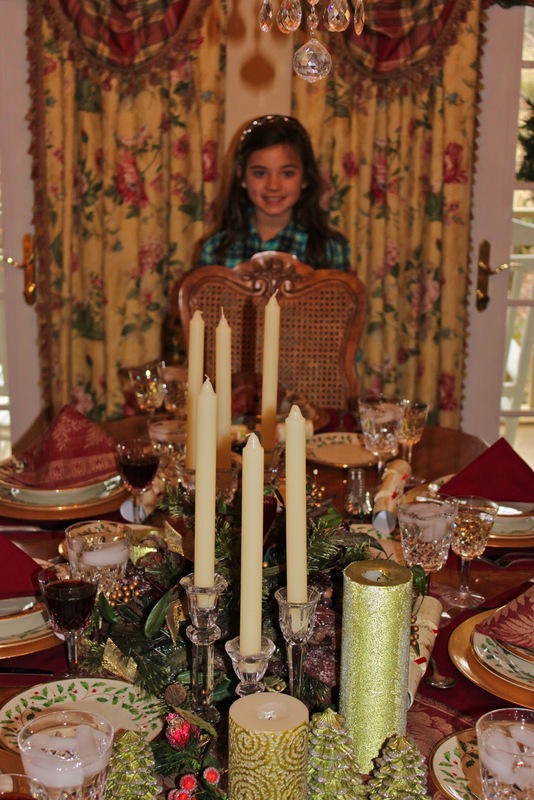 My niece waiting patiently for everyone to come to the table to enjoy! Happy 2011, looks like we all had this one this year love my prime rib, yours look awesome as well.. hope you had a fabulous holiday! 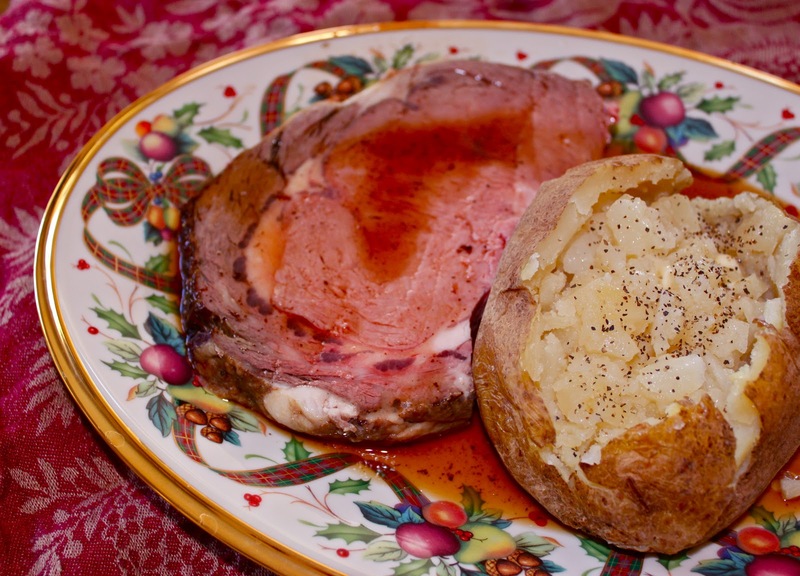 I do prime rib once a year – for New Years! Yours looks picture perfect – when you have an exquisite cut of meat you don’t want to overdo anything! And your niece is patient and beautiful! Ciao! This looks delicious! Thanks for your sweet words & your wishes. Merry Christmas & Happy New year to you! 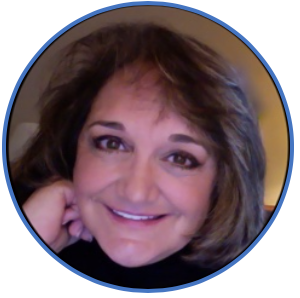 I’m looking forward to reading your new post for the New Year as well!! Blessings to you! That prime rib looks incredible Roz! I only eat prime rib whenever we dine out.and I must say your prime rib looks so tender and juicy!! !–just like..or better than tha restaurants! Oooohhhh…muy delicioso!!! First of all, you set a beautiful table and second of all, that prime rib is a delicious choice for Christmas dinner. Merry Christmas. Oh thank you Linda! Prime rib is a splurge for us, but we always enjoy it at Christmas with is the most special time of year in our family. Looks delicious Roz and my favorite Christmas meal – unfortunately my woman doesn’t care for it – too much fat. All of us in my family agree with you Larry, we devour prime rib, but just not the fat . . . but how horrible would it be without all of that glorious fat? Beautiful! It’s been so long since I’ve had, or cooked a prime rib. It calls for a special occasion,for sure. And the soup sounds delicious. 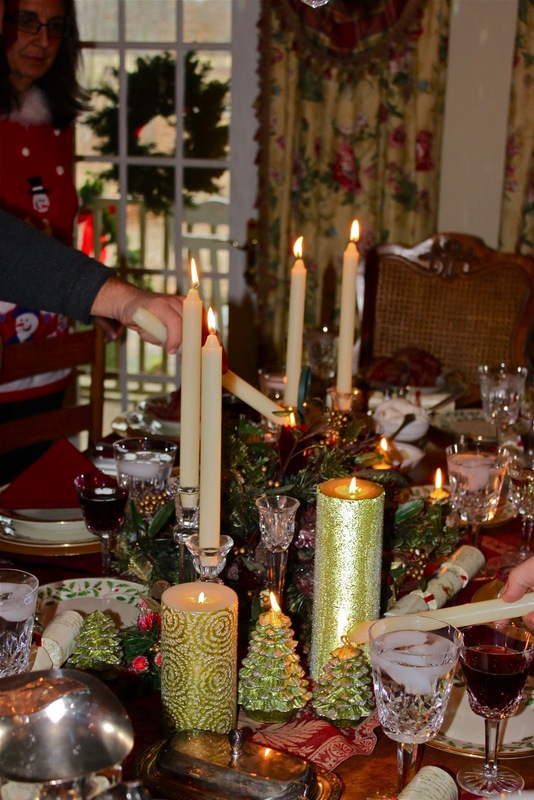 It’s certainly our Christmas feast when we pull out all of the stops in order to have a true celebration dinner!